Court documents obtained by CBC News allege that the Catholic Church is withholding millions from former students of Indian residential schools. The church was part of the Indian residential school settlement reached in 2006. While the government paid the lion's share of the billion-dollar settlement, the churches were also required to make reparations. The Anglican, Presbyterian and United churches have met their obligations, but according to the federal government, the Catholic Church is shirking its responsibility. The Aboriginal Healing Foundation is one organization that was slated to receive funds from the Catholic Church. "We're trying to get blood from a stone," says Mike DeGagne, former head of the organization. He says the foundation was supposed to receive $29 million from the church. "But then, the Catholics were allowed to subtract a number of expenses they'd already incurred, so it got down to about $18 million and about $1.6 million is still outstanding." Ottawa criticizes the church for trying to claim legal expenses as administrative costs. "The net effect of this accounting approach is to reduce the overall amounts that are paid to the Aboriginal Healing Foundation, and to give preference to the Corporation's administrative costs, including their lawyers' fees, at the expense of former students of Indian Residential Schools." Ottawa also points out the Catholic groups committed to fundraise $25 million as a part of the settlement, but so far have only raised a fraction of that. 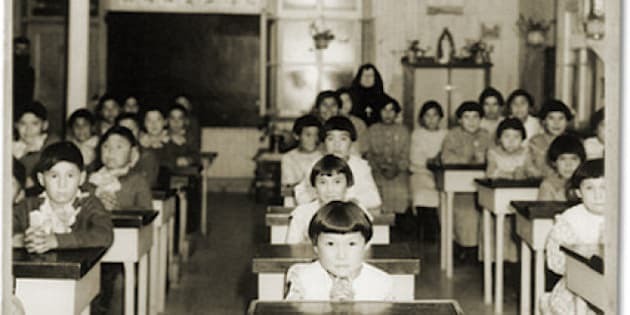 With funding from Ottawa, the Catholic Church ran more than 70 per cent of the residential schools, which operated from the late 1800s to the 1990s. Denise Guimond attended one of those schools for five years. "It's disheartening to know, because they're rich and there's no reason why they can't pay their portion or their part in supporting the survivors.... The churches should be paying actually to the organizations that are actually helping." DeGagne says the legal dispute sends a bad message to survivors. "This is not about the person in the pews. Most Catholics have no idea their church isn't honouring their obligations and choosing to pay lawyers versus their obligations to survivors. If most Catholics knew this, they would be appalled." Today, Aboriginal Affairs Minister Bernard Valcourt said, "Canada is committed to implementation of settlement agreement, as this matter is before the court, this will be the extent of my comment on it." None of the lawyers for the Catholic Entities could be reached for comment. The case is scheduled to be heard in a Saskatoon court in June.